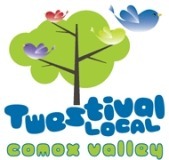 After four successful events in Vancouver and three outings in Victoria, Twestival 2011 will be reaching to the Comox Valley for the first time ever. With events planned for March 24, 2011 in Greater Victoria and the mid-Island, Twestival 2011 is aiming to raise funds for a worthy non-profit society in the respective local communities. Twestival Comox Valley organizer Brenda Johima faces the exciting challenge of bringing this global Tweet-Up to the area, looking for volunteers and community nominations for which non-profit charity the event would benefit. Johima has volunteered her time and online resources to pull Twestival Comox Valley together and is searching for even more local volunteers who’d like to give a hand. A venue has not yet been chosen, so to offer help, suggestions and non-profit nominations, visit Twestival Comox Valley’s official website or follow them on Twitter. On the south end of the Island, organizers are getting excited, having finalized some key details. The Fairmont Empress Hotel’s Bengal Lounge will be the outstanding venue for Twestival Victoria. Wine and beer stations and enticing appetizers will be on hand to raise funds for a to-be-determined charity. Last year’s event raised over $8,000 for Concern Worldwide but 2011 aims to trump that number and provide much-needed funds for a registered non-profit in the Victoria area. 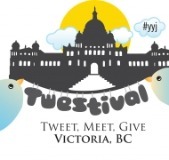 Visit Twestival Victoria online and follow their updates on Twitter to stay in the loop with developments.